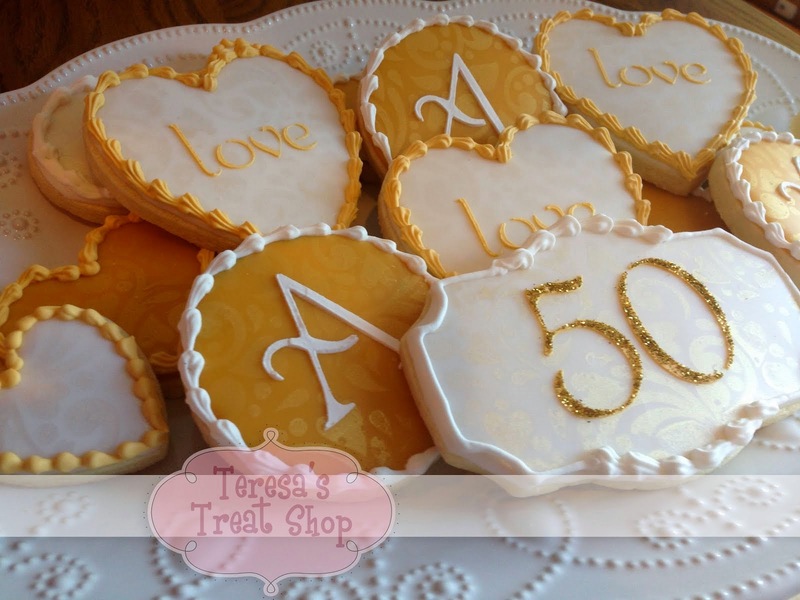 Teresa's Treat Shop: Christmas Already!! These minis are on their way to Uruguay! I wanted to make sure our missionary gets his Christmas box so I mailed it off in October. I almost didn't send cookies because I'm sure they will be stale when he gets them, but Todd convinced me that it will still be a taste of home for Tyler. So the 2 boys & I rushed and got these decorated, packed up tight, and sent off to be part of a summery & hot Christmas in South America! Merry Christmas, Tyler! I also taught a huge class for a private group last week. 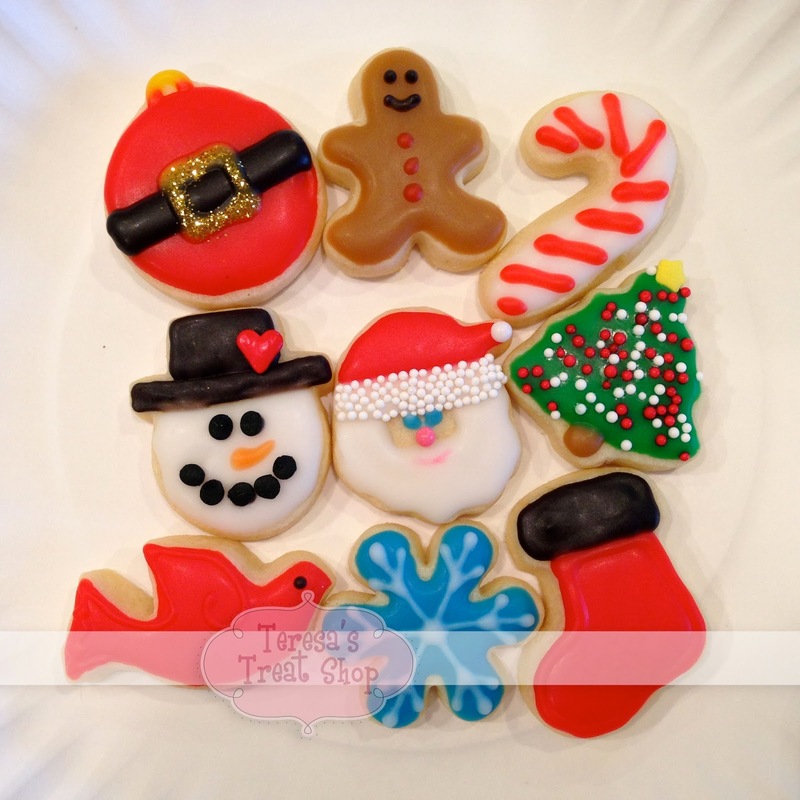 They wanted Christmas cookies so we did something similar to these. Really wish I had taken pictures of the samples before they got eaten! We added red sanding sugar on our candy cane stripes for some sparkle. The peppermint twist candy is one of my very favorites. 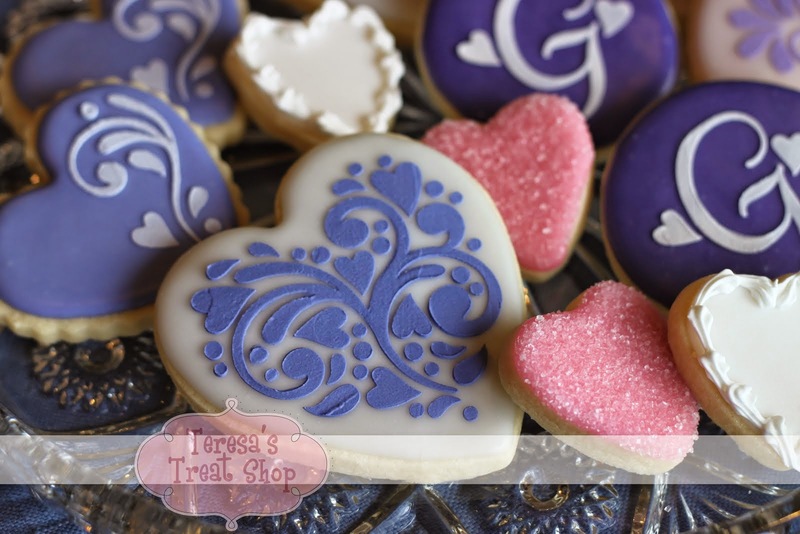 I just bought a bagful of new Christmas cutters so I'll be baking and decorating those shapes soon! Merry Christmas to Tyler! 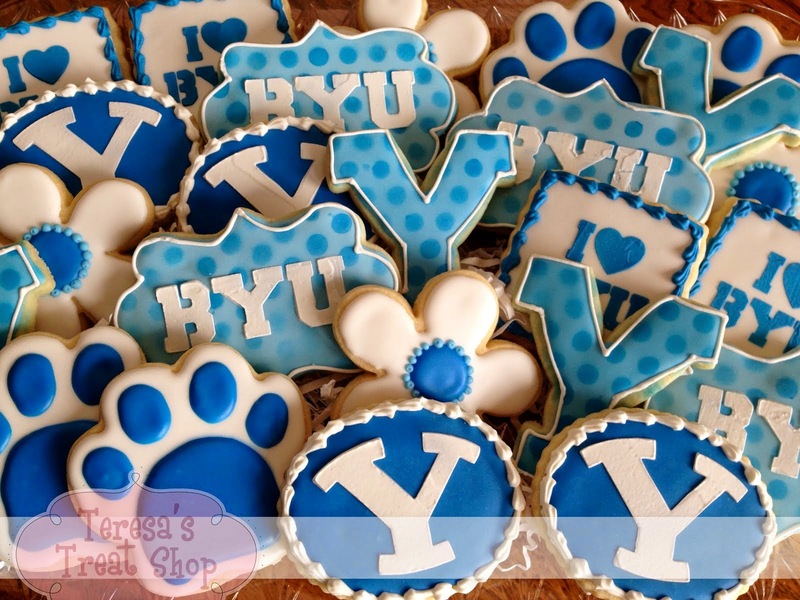 Hope he likes the cookies...they are adorable!